The Greenville Comets varsity team was edged Thursday afternoon, 1-0 by South Central. The game was played at GCS Ball Park, home of the Gateway Grizzlies. Wil Harnetiaux and Kyle Tipsword pitched well for the Comets. 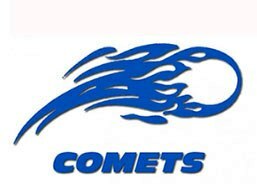 In girls’ soccer action, the Lady Comets fell to Pana 2-1. Scoring the GHS goal was Moriah Valentin.